To someone living in an industrialized democracy be it in the East or West, life in a Muslim majority country would appear archaic and stifling from both a political and religious perspective. Over half of the world’s countries have adopted a democratic form of government, 9 before WWII (the US, Britain, Australia, Canada and a few No. Europian countries), another 20 immediately after WWII, mostly in Europe and So. America, with another 34 after the fall of Communism, predominantly Eastern Europe, SE Asia, So. America and many African countries with another 20 plus coming on board in the past 10-15 years. There are nearly 100 democracies where the people elect their government in one form or another out of the 196 independent nations in the world today. Of the 49 Muslim majority countries only a handful have become democracies most only recently in the past 10-15 years such as Egypt and Tunisia in 2012 after the Arab Spring. Colonization still looms large in the Muslim psyche. There is an odd neurotic hatred of anything “Western.” Despite nearly every other country on the democracy list having been a colony of another earlier power as well (the US being the first democracy,breaking from rule by the British and adopting our Constitution in 1789) one rarely hears rhetoric from other countries blaming the West for their current political and economic problems. India for example, gained independence from Britain in 1947 yet one rarely hears blame of India’s current problems on the West or colonization. 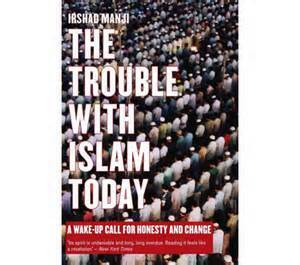 However it is a common theme if not the predominant theme running thru Islamic apologetics for well… just about everything. Consider this excerpt from the Muslim website Islam Concern about Islamic practices of animal sacrifice and inhumane butchering methods. I came across this essay while researching my previous blog about Animal Sacrifice. Muslims often cant seem to talk about anything, including their own internal and unique religious practices without bringing up “colonialism” “the Evil, intrusive West” “the battle for heart and minds not to stray from Islam” and unbelievably “the Crusades.” The Crusades? Unbelievable. India by contrast, not without its own primitive cultural practices and ideas has found a way to embrace modernity whatever its source and still maintain an incredibly strong sense of their own culture and religion. Read “Western conquest” as not merely perceived or real meddling in Muslim countries but as “progressive non-Muslim cultural practices and ideals” that nowadays come from anywhere and everywhere, not merely the “evil, decadent West.” The challenge to Islamic ideas comes from every direction, and much of it in the form of new information reflecting how the other “half” or rather majority (80%) of the world lives outside of Islamic countries, i.e., many in progressive democracies that are not medieval cheifdoms nor theocracies and tho struggling with social reform and economic advancement themselves are centuries advanced from the medieval time warp Islamic politics and culture appear to be stuck in as a result of their unreformed and all too pervasive religion. So in very real sense, not from long past colonialism nor ancient Crusades, Islam IS under assault, as is Conservative Xiansanity(TM) though to a much lesser degree, and from all sides in the modern era, not solely but largely due to our global culture and connection via the internet. Repressive and old primitive ideas of animal sacrifice, misogyny, homophobia, denial of personal rights, female genital mutilation, theocracy, social violence (beheadings, floggings, stoning, amputation) are unseen or seen to a substantially lesser degree all across democratic nations, East or West, African or South American. From another reform website New Age Islam:. Like Conservative Xiansanity(TM) and religion in general “the youth are” definitely “going astray.” They live in the modern world, connected globally more than any generation before. And they are questioning the primitive ideas ensconced in their religion which most of the rest of the world seems to be progressing just fine without, living completely in a state of Jahiliya. And this website’s idea of “spreading enlightenment” is orthogonal to the secular advance of the New Enlightenment spreading reason and tolerance: New Age Islam thinks “enlightenment” is their version of submitting to Allah by following the Koran and hadith. Jahiliya and “misguided ideologies” may both refer to “modern ideas” or “Islamist ideas/sectarian violence” or a little of both. For many Muslims who see their world stuck in economic and social stagnation the comparison is no longer confined to the colonial, meddling, “West” consisting of the evil US and Britain or France but to developing democracies like South Africa, Japan, South Korea, Brazil, Poland… countries all across the globe. The first reaction to blame colonialism and the Crusades!?! (i just cant get over that) gives way to a realization that all over the world things are moving forward and modern ideas are challenging almost everything Islam stands for. These folks aren’t stupid, they can see the rest of the world East, West, North and South living differently, freer, better, but they are trapped within a cultural cage most of us outside of it in most any country could not begin to imagine. Even the most conservative of Xian sects only begin to approach the smothering influence of mainstream, moderate Islam. The call for reform, however couched in neurotic rhetoric and paranoia of the “West” whatever that is, is desperately needed and up against a looming cultural wall of religious indoctrination. This may take a while. 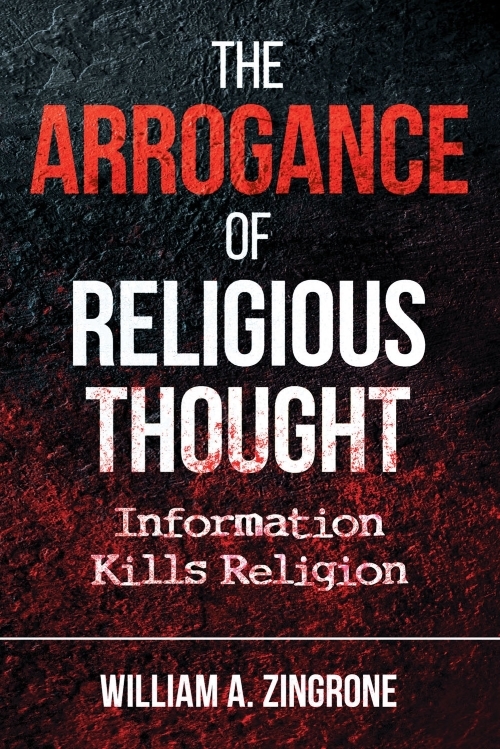 This entry was posted in Anti-theism, Secularism, Uncategorized and tagged Arrogance of Religious Thought by waz. Bookmark the permalink.